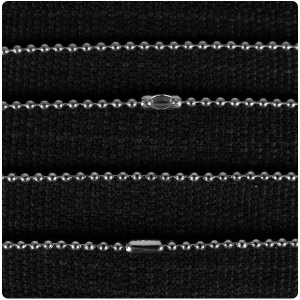 Solid Sterling Silver Ball Bead chain to combine with your 925 silver photo pendant. 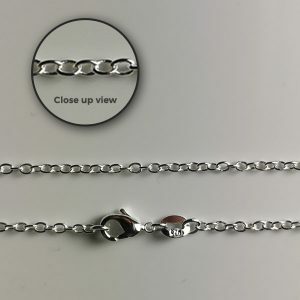 This is a fine chain with 1.2mm balls and a sprung claw clasp for ease of use. 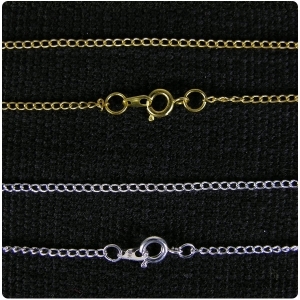 Select a chain to complement your photo pendant and required length in the shopping cart. We recommend the shorter chains combine well with the smaller pendants. Please look below to see which pendants are recommended to combine with this chain. 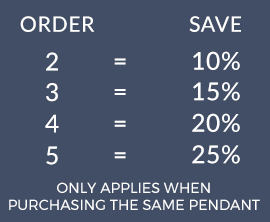 If the chain is slim and the pendant is heavy then the weight of the pendant will cut into the back of the wearer’s neck which is obviously uncomfortable. 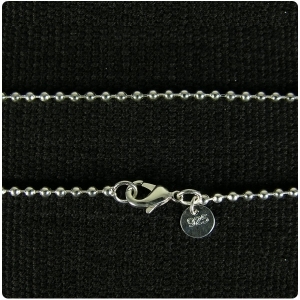 The 18 inch 925 silver ball chain is recommended for 925 Silver Mini Oval Photo Pendant which weighs only 3g.